Buy a gift card online for someone special! Our gift cards never expire and work the same way as cash. Please note that at this time, gift cards are not synced up with our website, but we can still do a mail order with the gift card number via email or over the phone. 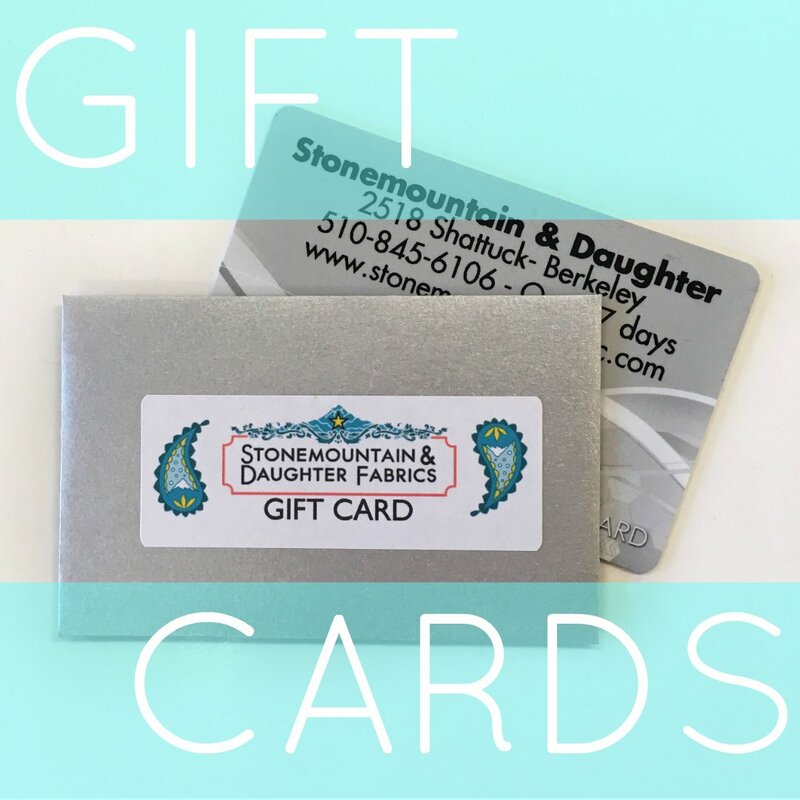 Stonemountain gift cards make a great gift for that special sewer in your life! We have gift cards available from $ 10-$ 200 on our website. You can also order gift cards directly from our store at 510-845-6106 and we do not charge additional shipping. If you need your gift card ASAP, just let us know and we can send a digital version for quick gifting purposes.